An unrivalled opportunity to align your brand with excellence in construction! Sponsoring the Irish Construction Excellence Awards will give your company an unrivalled opportunity to align with the Irish Construction Industry’s most influential figures. Put your brand in front of the biggest names in Irish construction. With the full media support of Irish building magazine, Irishbuildingmagazine.ie, and BIMIreland.ie these prestigious awards will set the event benchmark for the industry. To discuss further, contact us now and receive a sponsors pack: Email: contact@ICEAwards.ie or call 01 280 6030. Sika the world’s largest producer of specialist building chemicals has a very strong track record in Ireland, dating back to the 1920s when Sika 1 Waterproofer was used to prevent water ingress in the Shannon Dam Scheme, The Liffey Tunnel and the Currency Commission in Dublin. Sika Ireland supplies a complete range of innovative products for problem solving in all aspects of building construction and refurbishment. Sika’s Industrial division supplies a range of high-performance industrial adhesives used by the Automotive, Marine and Truck Body Building Industries. From their headquarters in Dublin, Sika Ireland provides 48 hour delivery on their complete product range as well as unrivalled technical support and customer service. A detailed specification writing and method statement service is available on their full range of products from Roofing, Concrete Repair through to Industrial Flooring, Bund Linings, Corrosion Protection and Sika’s Builders Merchants Range. standards and regulations – giving customers complete peace of mind and the reassurance of working with a quality manufacturer. Sika recognises the standard of design and craftsmanship in construction in Ireland ranks amongst the highest in the world. This is especially notable in areas of concrete, waterproofing and building envelope sealing & weatherproofing. Sika is committed to construction excellence worldwide. Sika Ireland are honoured to have the opportunity to acknowledge and promote the high standard of construction craftsmanship that Ireland’s Construction Industry is renowned for. ESB Networks is proud to continue to serve all 2.3 million industrial, commercial and domestic customers in Ireland and provide safe and reliable electricity to power their homes, farms, businesses and communities over 90 years. Our planning and engineering capability has ensured that large world-class companies have located here with the confidence that ESB Networks will provide the electricity infrastructure to meet their needs. ESB Networks is responsible for constructing all the high, medium and low voltage electricity network infrastructure in the country and operating and maintaining this infrastructure, owned by ESB. The electricity distribution network includes all distribution stations, overhead electricity lines, poles and underground cables. Customer service is at the heart of everything ESB Networks does. ESB Networks provide services to every electricity customer irrespective of their electricity supplier. Safety is to the fore for the company and part of this is manifested in the Public Safety programmes and campaigns that the company runs. The key focus of the public safety programme is communicating our safety messages to those at risk of coming into contact with the Electricity Network. ESB Networks work closely with organisations including the Health and Safety Authority, the Electro-Technical Council of Ireland and contractor organisations to promote continual improvement around safety standards and safe working practices. in the Safety Health and Welfare at Work Act 2005 and the Safety, Health and Welfare at Work (Construction) Regulations 2013. ESB Networks were one of the official partners for Construction Safety Week back in October 2017. ESB Networks are proud to align with the Irish Construction Excellence Awards to promote Excellence in Construction and safety on construction sites. The Irish Construction Excellence Awards ‘Health, Safety & Wellbeing Initiative’ Category is in proud association with ESB Networks. Mark Madigan, Senior Safety, Health and Wellbeing Manager, at ESB Networks will be one of the Judges for this category. Arthur Cox is widely regarded as the leading law firm in Ireland and is one of Ireland’s largest and most innovative law firms. Today, the firm has almost 350 lawyers, including almost 100 partners and a total staff of over 750. Arthur Cox is an “all-island” firm, with offices in Dublin and Belfast. The firm also has offices in London, New York and Silicon Valley. successful delivery of projects across a range of sectors, to providing informed and practical advice on the management and resolution of issues that can arise during the delivery of projects. Their objective is always to work with construction clients to help them achieve the successful completion of their projects, and they are proud to be involved in some of the most exciting and landmark developments in Ireland. legal work to clients and as a result are proud to be part of this celebration of the recent achievements of those working in the sector. Being aligned with the Irish Construction Excellence Awards is a great honour: whilst Arthur Cox deal with paper and words, the sector designs and constructs stunning and remarkable buildings and core infrastructure, which will serve the country for years to come. The construction sector lies at the heart of any economy and Arthur Cox are proud to play a small part in keeping that heart beating. Established in 1926, the Davy Group is Ireland’s leading provider of wealth management, asset management, capital markets and financial advisory services. The Davy Group is headquartered in Dublin, with offices in London, Belfast, Cork and Galway. Employing over 700 people, Davy offer a broad range of services to private clients, small businesses, corporations and institutional investors, and organise activities around five interrelated business areas – Asset Management, Capital Markets, Corporate Finance, Private Clients and Research. Davy Group recognise that your focus is on your business and family. Their focus is on understanding your long-term and short-term goals and helping you use your financial assets to achieve these goals. business success translate back into personal financial success is at the core of their client offering. Davy Group has been working with the Irish Construction Sector for over 30 years and the Excellence in Irish Construction Excellence Awards provides an opportunity for Davy to partner with the sector again. At Davy, they aim to structure their client’s affairs in the optimal way through tailored financial planning and world-class investment management. As a 92 year old indigenous Irish firm, the company are proud to continue building successful futures with their clients in the construction sector. management to clients and they are proud to be part of this celebration of the recent achievements of those working in the sector. Being aligned with the Excellence in Irish Construction Excellence Awards is a great honour, as the construction sector lies at the core of our recovering economy and Davy is delighted to be associated with this event. Surety Bonds is Ireland’s only specialist surety and bonds intermediary. They provide the Construction Industry with solutions to their bonding needs, they give independent and objective advice that clients can trust. Their credibility in the market relies on this, therefore they believe in always working openly and honestly with clients. The experience and expertise within the company helps reduce much of the difficulty and inconvenience of obtaining bonds, they deal with all regulated providers of bonds and financial guarantees. Surety Bonds believe it is important to recognise the high quality of work that many contractors within the Construction Industry deliver on behalf of their clients. Surety Bonds believe the contractors and the teams within their organisation that deliver to such a high standard should be rewarded and applauded by their peers. The Irish Construction Excellence Awards are about recognising companies that strive to be the best and push the industry, in general, to be better. Surety Bonds believe this is an opportunity for them to be part of that drive to achieve excellence and show they are proud to be part of an industry which is endeavouring to push the boundaries of innovation and quality. Brooks is a brand that has been central to Irish Construction for over 200 years. It has, like the sector itself, seen its fair share of ups and downs but its credentials have remained constant. Brooks, through its branch network in Ireland and its subsidiary, Dublin Plywood and Veneers Ltd (“DPV”) supply materials to the construction sector for commercial, residential and civil developments. The sector has seen significant change over the past 10 years. The most recent 5 years, in particular, make the sector almost unrecognisable given new building regulations and the drive to renewable energy. Brooks see the next 5 years as being all about more and pronounced change in the sector. Brooks say it is really important that suppliers continue to remember that the sector is about creating buildings and infrastructure and they should celebrate excellence in that pursuit. Brooks are delighted to be associated with the Irish Construction Excellence Awards. Brooks demand excellence within the company and believe it is right that they celebrate it. 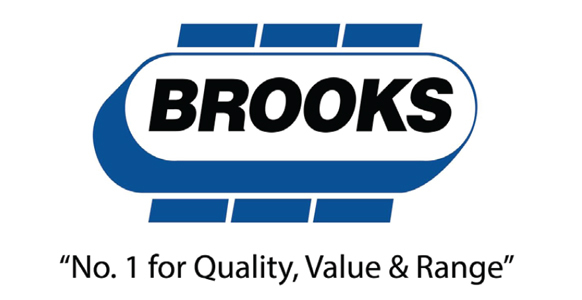 The opportunity to be part of Excellence in Irish Construction allows Brooks to re-enforce their own commitment to quality and added value. It also allows a new strand of connection with their customers by which they can congratulate them on the quality of their work and acknowledge leadership in the sector. Topcon is the global positioning partner for construction and geo-businesses, offering precision technology that delivers increased efficiency across the workflow. As well as bringing cutting-edge surveying, monitoring and construction equipment to the Irish built environment, they are also committed to wider issues like helping close the construction skills gap by supporting and training the next generation of engineers through partnerships with third level colleges and universities. global stage, while also setting the precedent for future build projects. work together to drive new approaches to these challenges. Aligning with the Irish Construction Excellence Awards is one example of how the industry is coming together to celebrate Ireland’s success so far and, as a business, Topcon think it’s great to be a part of that. Euro Executive Recruitment provides professional recruitment services to the Construction Industry in Ireland and across Europe. The company have placed senior level staff with many of Ireland’s largest building contractors. They are focused on building genuine, honest relationships with all of their clients. Their parent company AA Euro Group provides trades and labour staff to construction projects in Ireland and across Europe. Through their three Irish offices (Cork, Waterford, and Dublin) and their international offices in the UK, Romania and Poland, they secure the highest calibre of professional and trade staff for their clients in Ireland and across Europe. Euro Executive Recruitment believe the Construction Industry in Ireland is a vital part of Ireland’s economic recovery and those companies who excel within the Construction Industry, deserve to be acknowledged by their peers. in the Construction Industry. Euro Executive Recruitment’s alignment with the Irish Construction Excellence Awards reflects their genuine commitment and investment in the Irish Construction Industry.